Taking you to that place via Reggae fusion, soulful RNB urges, incognito jazz spills, 808 ends, Paua is one of the most innovative bands on the scene while maintaining an uncluttered heavy roots-reggae groove and relatable, catchy lyrics. 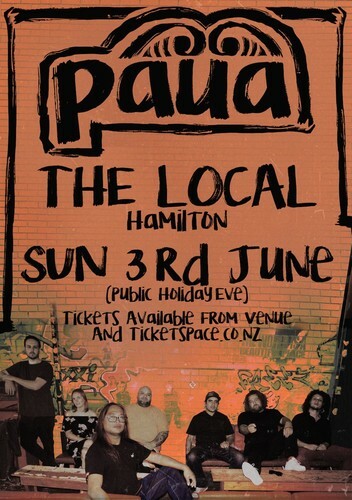 Creating chemistry between music and their audience Paua have brought their high-energy, polished live show to audiences throughout Australia and New Zealand with extensive tours and numerous invitations to go abroad. Lead singer Jay says ‘we are extending our positive message to the world’. Residing in Brisbane, Australia, Paua includes Maori heritage hailing from Aotearoa (New Zealand) combined with a multicultural collective from Australia and Philippines. Although band members grew up in varying musical backgrounds, they connected through their mutual love of reggae music. Many of Paua’s releases have hit #1 on the New Zealand and Australian iTunes reggae charts and numerous have become household favorites that audiences recite word-for-word. Having shared the stage on proclaimed festivals alongside reggae giants such as ‘Steel Pulse’, ‘Black Slate’, ‘Big Mountain’, ‘Julian Marley’, ‘The Green’, ‘Katchafire’, ‘Third World’, ‘Kolohe Kai’ & ‘Tarrus Riley’, Paua are forever enlightening the masses.